Big Data has totally changed and revolutionized the way businesses and organizations work. 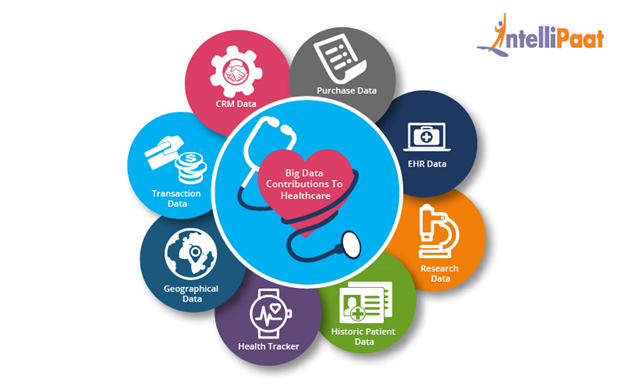 In this blog we will go in depths of the major Big Data applications in various sectors and industries and learn how these sectors are being benefitted by these applications. In this era where every aspect of our day to day life has been technologized, there is a huge volume of data that has been emanating from various digital sources. Needless to say, that we faced a lot of challenges in the analysis and study of such a huge volume of data with the traditional data processing tools. To overcome these challenges, some big data solutions were introduced such as Hadoop. These big data tools really helped realize the applications of big data. More and more organizations, both big and small are leveraging from the benefits provided by big data applications. Businesses are finding that these benefits can help them grow, and grow fast. In this blog we are going to look at some of the famous applications of big data in detail. Education Industry is flooding with a huge amount of data related to students, faculties, courses, results and what not. It was not long before we realized that the proper study and analysis of this data can provide insights that can be used to improve the operational effectiveness and working of educational institutes. Reframing the course material according to the data that is collected on the basis of what student learns and to what extent by real time monitoring of what components of a course are easier to understand. New advancements in grading systems have been introduced as a result of proper analysis of student data. Proper analysis and study of every student’s records will help in understanding the student’s progress, strengths, weaknesses, interests and more. It will help in determining which career would be most appropriate for the student in the future. 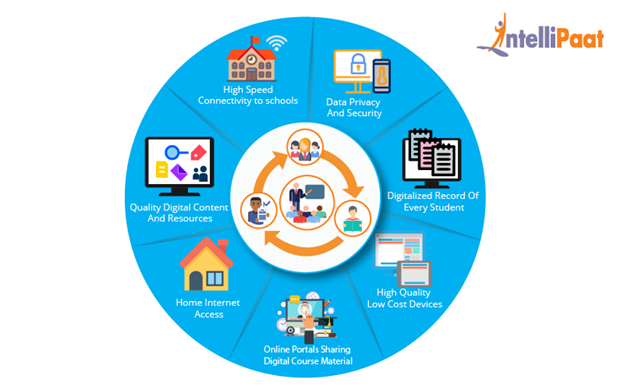 The applications of big data have provided a solution to one of the biggest pitfalls in the education system, that is, the one-size-fits-all fashion of academic set up, by contributing in e-learning solutions. The University of Alabama has more than 38000 students and an ocean of data. In the past when there were no real solutions to analyze that much data, some of that data seemed useless. Now administrators are able to use analytics and data visualizations for this data to draw out patters with students revolutionizing the university’s operations, recruitment and retention efforts. Big data reduces costs of treatment since there is less chances of having to perform unnecessary diagnosis. It helps in predicting outbreaks of epidemics and also helps in deciding what preventive measures could be taken to minimize the effects of the same. It helps avoid preventable diseases by detecting diseases in early stages and prevents it from getting any worse which in turn makes the treatment easy and effective. Patients can be provided with the evidence based medicine which is identified and prescribed after doing the research of past medical results. Wearable devices and sensors have been introduced in healthcare industry which can provide real time feed to the electronic health record of a Patient. One such technology is from Apple. Apple has come up with what they call Apple HealthKit, CareKit and ResearchKit. The main goal is to empower the iPhone users to store and access their real time health records on their phones. Become Hadoop Certified in 50 hrs. 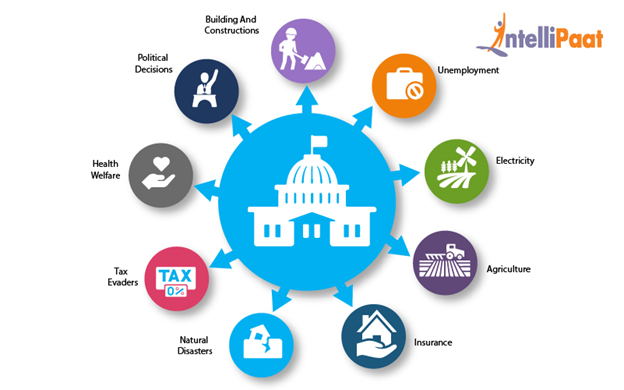 In making faster and informed decisions regarding various political programs. To indentify the areas that are in immediate need of attention. To stay up-to-date in the field of agriculture by keeping track of all the land and livestock that exists. To overcome national challenges such as unemployment, terrorism, energy resource exploration and more. Governments are also finding the use of big data in catching tax evaders. The Food and Drug Administration (FDA) which runs under the jurisdiction of the Federal Government of US leverages from the analysis of big data to discover patters and associations in order to identify and examine the expected or unexpected occurrences of food based infections. 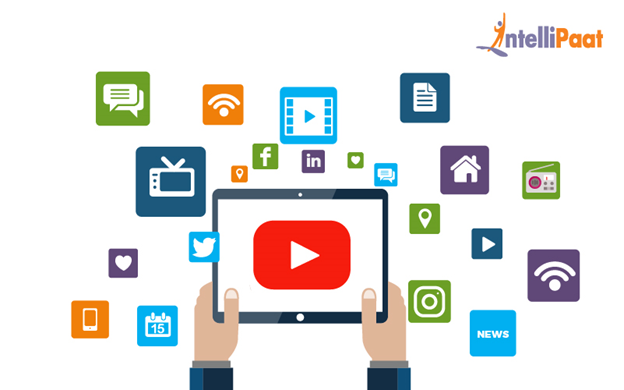 With people having access to various digital gadgets the generation of large amount of data is inevitable and this is main cause of rise in big data in media and entertainment industry. Other than this, social media platforms are also another way in which huge amount of data is being generated. Although business in media and entertainment industry have realized the importance of this data and they have been able to leverage from it to help their businesses grow. Predicting the interests of audiences. Optimized or on-demand scheduling of media streams in digital media distribution platforms. Getting Insights into customer’s reviews and pinpointing their animosities. Spotify, which is an on-demand music providing platform, uses big data analytics and collects data from all of the users around the globe and then uses the analyzed data to give informed music recommendations and suggestions to every individual user. Amazon Prime, that offers, videos, music and Kindle books in a one-stop shop is also big on using big data. There are weather sensors and satellites deployed all around the globe. A huge amount of data is collected from them and then this data is used to monitor the weather and environmental conditions. To predict the availability of usable water around the world. 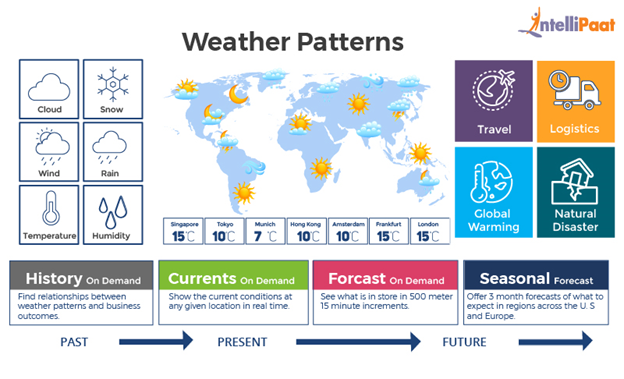 IBM deep thunder which is a research project by IBM, provides weather forecasting through high performance computing of big data. IBM is also assisting Tokyo with the improved weather forecasting for natural disasters or probability of damaged power lines in order to plan successful 2020 Olympics. Since the rise of big data, it has been used in various ways to make transportation more efficient and easy. Following are some of the areas where big data contributed to transportation. Route planning: Big data can be used to understand and estimate the user’s needs on different routes and on multiple modes of transportation and then utilizing route planning to reduce the users wait times. 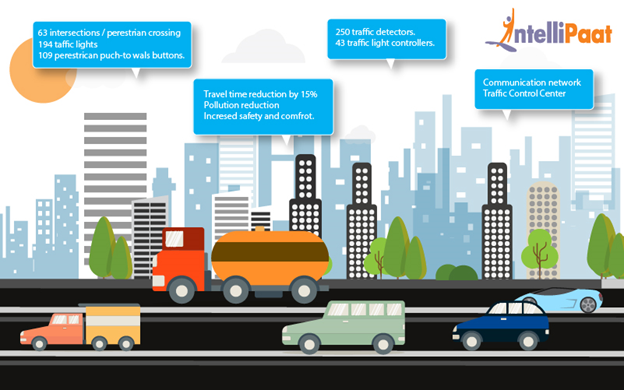 Congestion management and traffic control: Using big data, real time estimation of congestion and traffic patterns is now possible. For examples, people using Google Maps to locate the least traffic prone routes. Safety level of traffic: Using the real time processing of big data and predictive analysis to identify the traffic accidents prone areas can help reduce accidents and increase the safety level of traffic. Let’s take Uber for an example here, Uber generates and uses a huge amount of data regarding drivers, their vehicles, locations, every trip from every vehicle etc. All of this data is analyzed and then used to predict the supply, demand, location of the drivers and the fares that will be set for every trip. And guess what? We too make use of this application when we plan route to save fuel and time, based on our knowledge of having taken that particular route sometime in the past. In this case we analyzed and made use of the data that we had previously acquired on account of our experience and then we used it to make a smart decision. It’s pretty cool that big data has played parts not only in such big fields but also in our smallest day to day life decisions too, isn’t it? 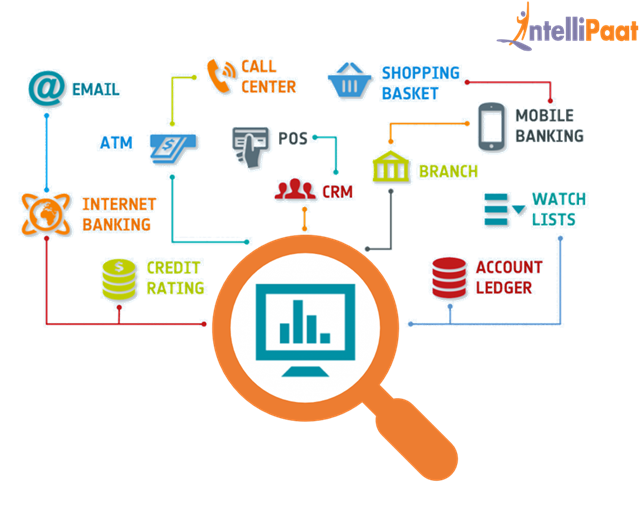 Various anti mone laundering softwares such as SAS AML use data analytics for the main purpose of detecting suspicious transactions and analyzing customer data. Bank of America has been a SAS AML customer for more than 25 years. So these are some of the applications of big data in real world. No wonder there is so much hype for big data, given all of its applications. The importance of big data lies in how an organization is using the collected data and not in how much data they have been able to collect. To use big data efficiently, there are Big Data solutions that make the analysis of Big Data easy. This is where the applications of Big Data start showing up, when big data solutions are used to gain benefits of big data. 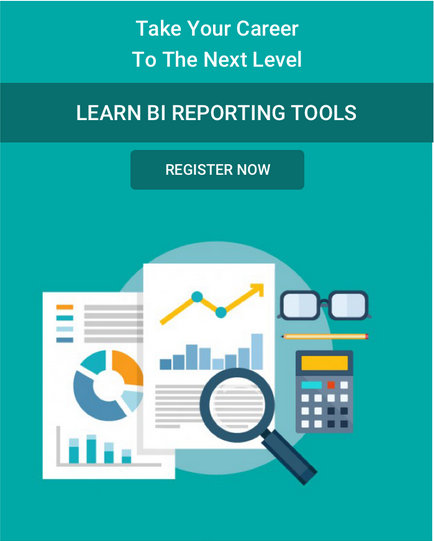 Thank you for visiting and for more in-depth understanding about Big Data, refer to our Big Data & Hadoop Certification Training. How to get started with Hadoop?